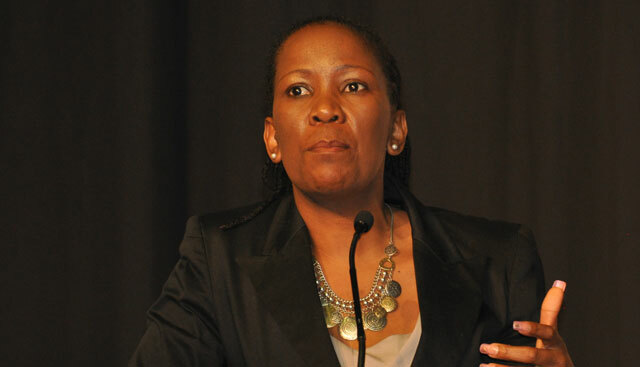 The department of communications’ colloquium to discuss a review of policies governing SA’s information and communications technology (ICT) sector saw controversy on Friday after a commission set up to discuss telecommunications at the two-day event appeared to have failed to delve meaningfully into the issues it was asked to. The reportback from the commission’s chair, Vodacom’s Pakamile Pongwana, earned a rebuke from the department’s deputy director-general, Themba Phiri, who said it had “clearly deviated from its mandate”. Pongwana presented a graphical representation of all aspects of the industry, with the end user at the centre of the image. But a few delegates at the colloquium used an electronic communication system supplied by organiser Deloitte to express disappointment at the fact that the telecoms commission appeared not to have dealt with any substantive issues. He said this was only the “beginning of the beginning of a process” and would “still be opened up”. “It was saying constructively, as citizens of this country, how do we think we can suggest another way of soliciting inputs because those inputs are still going to be solicited?” Pongwana said.